Trumpeter Malcolm Aiken is a touring and recording artist whose credits include performances with latin jazz legend Chucho Valdez, Noel Gallagher of Oasis, R&B Hall of Fame crooner Dutch Robinson, Polaris-prize winning Patrick Watson and salsa superstar Jimmy Bosch. He’s played for global audiences at the 2010 Winter Olympics, and for world figures including the Dalai Lama, Reverend Desmond Tutu and Shirin Ebadi. As a solo artist he has released 3 albums, with his most recent, "New Futures," being described as "a west coast take on Nordic nu-jazz. Long, languid horn lines drift over hip beats and chill atmospheres in a collection of sparkling instrumentals" (Cal Koat, World Beat International). A passionate music educator, Malcolm is an in-demand adjudicator and clinician. From 2005-15, he was director of brass with the award-winning West Vancouver Youth Band. Since 2014 he has served as Artist in Residence at the Vancouver School Board and is currently on faculty at the Con Brio Sun Peaks and Whistler Music Festivals. 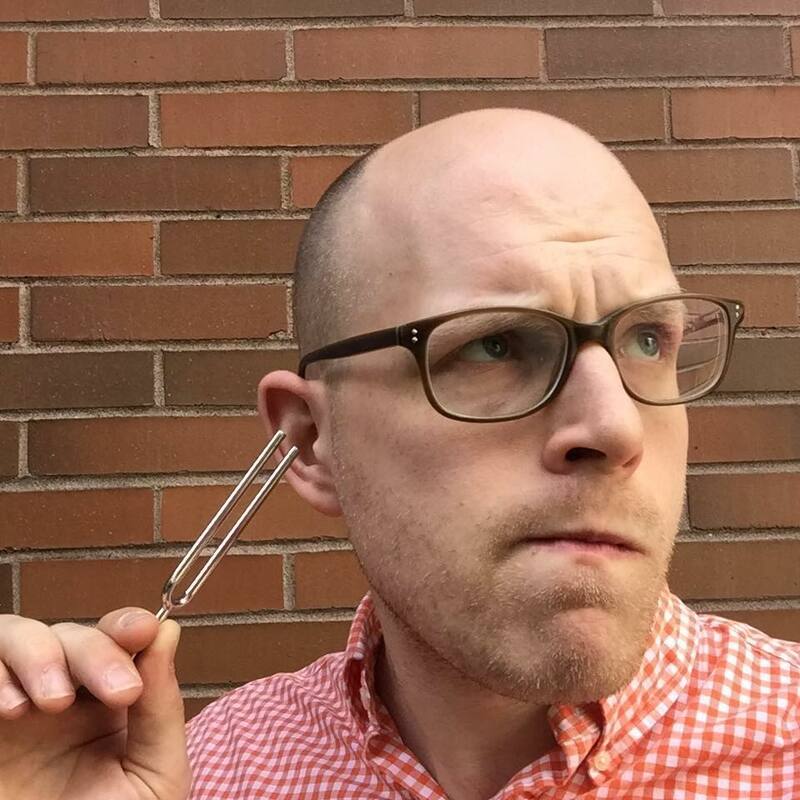 He holds a Master’s degree in ethnomusicology from the University of British Columbia, and has published articles exploring topics on brass pedagogy and jazz. He is a frequent panelist for the Juno Awards, FACTOR and the Canada Council for the Arts. Malcolm is a Stomvi Brass Performing Artist and is supported by AMT Microphones and Matterhorn Music. Jennica Alpaugh currently teaches 4-7 music and choir at Kamloops School of the Arts. She also directs the Kamloops Thompson Children’s Choir and enjoys choreographing local choirs. Jennica has completed Level 3 Orff with Doug Goodkin at the San Francisco Orff School and has completed Dalcroze Eurhythmics studies in New York. 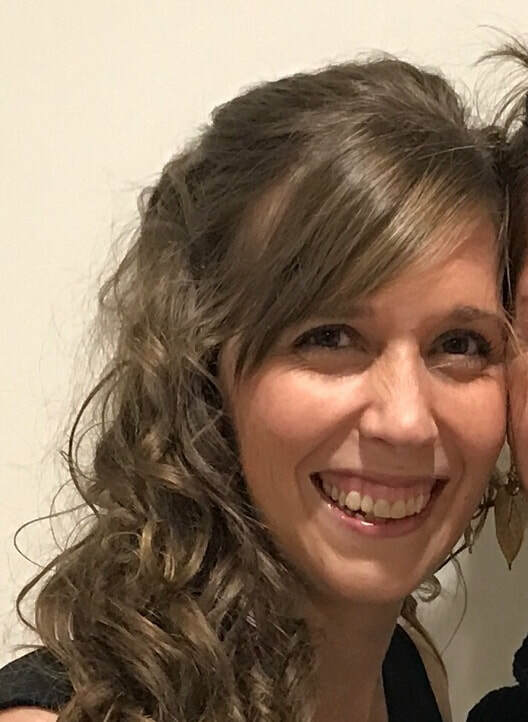 Jennica’s background in group based preschool music, dance and classroom music inspired her to explore the link between music and movement education. She is passionate about making music and dance education and integration accessible to both music and classroom teachers. Jennica can be reached at jalpaugh@sd73.bc.ca. Jacob Autio is a musician educator who believes that the way we learn music is the way we learn to be better human beings. He is the founder and artistic of the BC Kodály Choir, a director on the Kodály Society of Canada board, editor of the national Kodály journal, Alla Breve, and the acting president of the BC Kodály Society of Canada. He grew up in Abbotsford, studied at the University of Ottawa, University of Victoria, and pursued Kodály education in Edmonton, Kecskemet (Hungary), Victoria, and Seattle. Jacob has taught in Campbell River, Burnaby, and now in Surrey school districts as a musician educator and now as a kindergarten teacher! Paul Beauchesne is the Principal Tuba of the Victoria Symphony, as well as Tuba & Euphonium Instructor at both the University of Victoria and the Victoria Conservatory of Music. Born in Montreal, he grew up on Canada’s west coast and played his first notes on the tuba at age 13. Prior to moving to Victoria in 2005 he was tubist in Calgary’s Foothills Brass Quintet, touring across North America and working on numerous recording projects. He has performed with numerous orchestras including the Boston, Santa Fe, and Vancouver Symphony Orchestras. Two years as Principal Tuba of the KwaZulu-Natal Philharmonic Orchestra took him to Durban, South Africa, where he also learned to SCUBA dive and took time to explore the country, including the vineyards near Capetown. Since moving to Victoria he has remained active as a clinician for Yamaha Canada and an instructor at PRISMA, an orchestral training program located in Powell River. He holds a Master’s Degree from the University of New Mexico and a Bachelor’s from the University of Victoria where he was honoured as a Distinguished Alumni in 2011. Michael Beauclerc has established a diverse and exciting career as a professional drummer, percussionist, composer, singer, and author in Canada. He is also a busy marching percussion clinician for Yamaha Music Canada, having performed over 250 clinics from coast to coast. Currently, Michael is the co-founder and Executive Director of the Canadian Drumline Association. 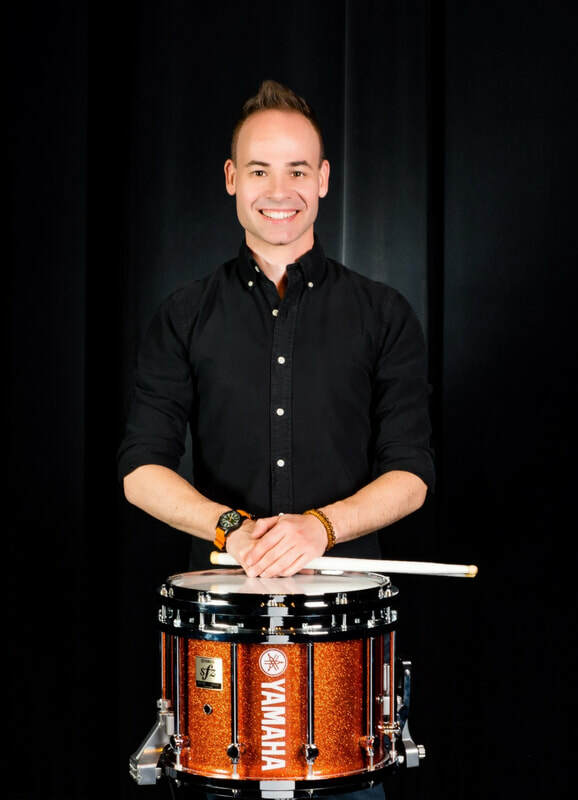 Michael is also the percussion head of the St. Michael’s College School Drumline in Toronto ON, Oak Ridge Percussion in Colborne ON, Trinity College School Drumline in Port Hope ON, and a consultant and composer for several additional scholastic drumlines. His books “The Mad Practice Pad” and “Developing Modern Drumlines” have become the literal foundations for Canadian drumlines and marching percussion instructors. Michael was born in Peterborough, ON, Canada, where his father taught him his first “beats” on a plastic Muppet drum set when he was only two years old. Michael performed with his first rock band at age twelve, and was a champion snare drummer by age 15. He has performed across North America in several world-class drumlines, including the Drum Corps International World-class semi-finalists Kiwanis Kavaliers as the centre snare, and the Winter Guard InternationalWorld-class finalists S.P.Y.E. Michael graduated with honours in Performance Music from Cambrian College as a percussion major and voice minor. He has recorded and performed with countless ensembles and artists, and has over two decades of experience in percussion instruction and composition. Michael Beauclerc endorses Yamaha Percussion, Sabian Cymbals, Vic Firth Sticks & Mallets, and REMO drumheads. Michael continues to be a busy performer as a drummer, hand percussionist, and singer. Christine has been teaching in the Burnaby School district for the past 13 years. She has a background in piano performance, classical guitar, music theory, and Orff, and she has always been involved in musical theatre. During her time in the classroom she has produced several shows with her students including “Oliver!,” “Dear Santa,” “A Dickens of a Christmas,” “Peter Pan,” and “Willy Wonka and the Chocolate Factory.” Currently Christine teaches at Lakeview Elementary School where she works with students from kindergarten to grade 7. She also runs the intermediate choir year round and sponsors the drama club. Richard M. Cangro, Ph. D., is Chair and Associate Professor of Music Education and Director of the Community Music School at Western Illinois University, USA. He was formerly a band/orchestra director for 15 years before teaching at the university level. 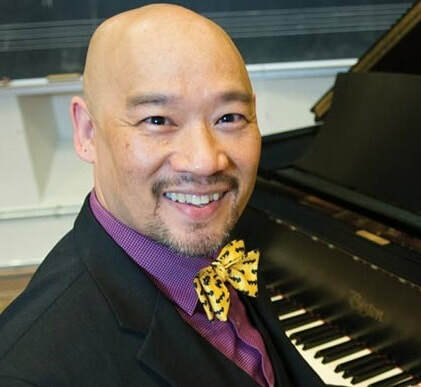 A 2017 Fulbright Specialist grant award recipient, he has presented at numerous music educator events throughout the US, and has presented professional development sessions in Canada, China, England, Myanmar, Puerto Rico, and Taiwan. 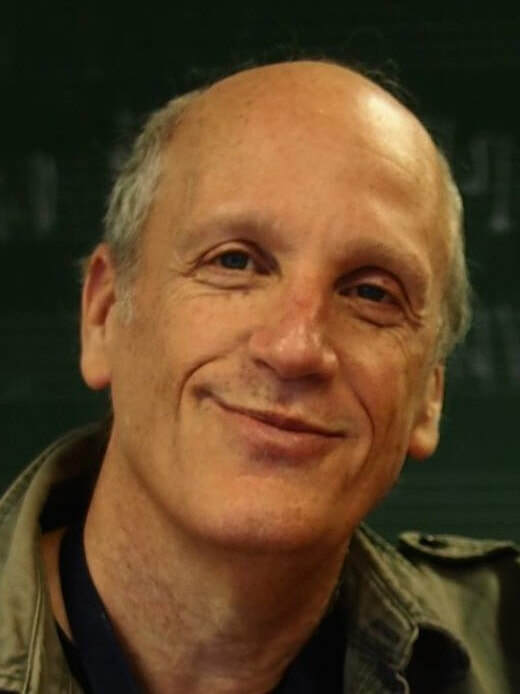 He has published articles in several music educator journals and is a board member of the International Association for the Study of Cooperation in Education. Areas of specialty include cooperative music learning, curriculum development, developing musicianship, instrumental music pedagogy, assessment, and developing teacher effectiveness. 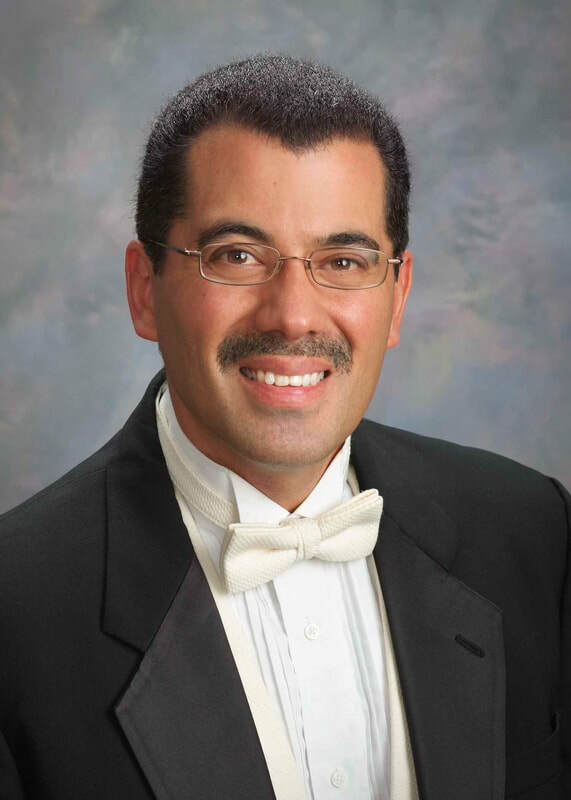 Musically, he is the conductor for the Monmouth Civic Orchestra and the Quincy Area Youth Orchestra, and a member of the trumpet section for the Knox-Galesburg Symphony. Dr. Adam Jonathan Con is Head of Music Education and Graduate Choral Conducting and conductor of the 170-voice UVIC Chorus at the University of Victoria. He served in similar capacities at the Bob Cole Conservatory of Music, California State University, Long Beach, at Wittenberg University in Springfield, Ohio and at Georgia Southern University in Statesboro, Georgia. Dr. Con earned a Bachelor’s Degree in Music Education (Secondary Instrumental and Choral) and a Master’s Degree in Music Education (Elementary) from the University of British Columbia. At Florida State University, he earned a Doctorate of Philosophy in Music Education (Choral Conducting Emphasis) studying with Rodney Eichenberger, Andre Thomas, Clifford Madsen and Judy Bowers. His invitations to conduct and present workshops include events such as the Foro Coro Americano in Argentina, National American Orff-Schulwerk Conference, Podium: Canadian National Choral Conducting Symposium, the Canadian National GALA Conference, the National Canadian Orff-Schulwerk Conference, the Manitoba Provincial Music Educator’s Conference, the Alberta Provincial Music Educator’s Conference, the British Columbia Provincial Music Educator’s Conference, the British Columbia Choral Federation Chorfest and Youth Choir, the Unitarian Universalist Musicians National American Conference, Ohio State Music Educator’s Conference, the Georgia State American Choral Directors Association Conference, and the Georgia Music Educator’s Conference. Murray Creed is the owner and head instructor at Groove Studios in Victoria, BC. He is the author of 5 instruction drum books called “Groove Evolution.” Murray is an accomplished drummer and is currently playing in the Victoria scene with Mike Demers, Justin Hewitt, The Temps. Planet Claire and the Nola Collective. He has played with many groups in the past including Fine Tooth Combine, Triple Sow Cow, Thin King, FastJacket, Vince Vaccaro and Honeyloaf to name a few. Murray is one of the most in demand drum teachers in and does Clinics and Masterclasses in the Victoria area. Murray has taught many fine drummers that are currently playing in groups around Canada. To find out more, please check out the Groove Studios website. Nancy has over 27 years of working in the Travel Insurance business in BC. She works exclusively with travel agents in the promotion of selling travel protection to their clients. Nancy also helps consultants become qualified to sell insurance in B.C. by preparing them for their exams and facilitates their required continuing education throughout the year. Nancy has sat on the Board of Vancouver Women in Travel and is very active in the travel business in BC attending many industry related functions. Nancy has 2 boys and 4 grandchildren. She likes travelling, birdwatching and spending time with her family. Mr. Davis taught for eleven years at Spectrum Community School where he took a small two-band program and rebuilt it into a multi-level, award-winning program of band classes, performing concert bands, two jazz bands, combos, musical theatre pit orchestra, and a marching band. His ensembles can be heard regularly in performance locally, provincially, and internationally. Ensembles under his direction have consistently received ratings of Superior or Gold, are in demand for concerts and parade appearances, and receive numerous accolades for their performances. In a career spanning decades, Nancy has performed in the world’s major concert halls on three continents, with such conductors as Leonard Bernstein, Sir Colin Davis, Karel Ancerl, James Levine, Sir Neville Marriner, and Christopher Hogwood. She has also performed on tour in Japan and China with the Vancouver Symphony Orchestra under the baton of both Sergio Commissiona and Bramwell Tovey. A keen chamber musician since her teens, she has toured with the Octagon Ensemble and Camerata and was founder and Artistic Director of Vancouver’s Sundays at Seven recital series for eight seasons. Her many concerto credits include the Banff and Victoria premières of the Kurt Weill Violin Concerto, as well as premières of a number of Canadian works written especially for her, including the Barnes Violin Concerto with Sir Neville Marriner conducting, Walter Buczynski’s Sonata (1975) for CBC Arts National, and Frykberg’s “Astonishing Sense….” (1998) for solo. Nancy has appeared as guest concertmaster with the Canadian Chamber Ensemble, Royal Winnipeg Ballet, Kitchener-Waterloo, Edmonton and Victoria Symphonies, CBC Radio Orchestra, “Music of the Night” cross-Canada tour, and Pacific Opera Victoria where she has led operas in styles ranging from period instrument Handel to Berg’s “Wozzeck”. As a Baroque violinist, she is a popular leader with a number of BC’s finest choral conductors. In demand as a pedagogue, Nancy has taught at Tanglewood, the Marrowstone Festival, Western Washington University, the University of British Columbia, and the University of Victoria. She currently teaches for Capilano University and mentors for the National Academy Orchestra . Her many recording credits include work for CBC Radio, Earsay Records, the Elektra Women’s Choir, Disney Films, the 2010 Winter Olympics, and Victoria Baroque Players. Marcie has been working within the student and youth travel industry since 2004 and has completed the BC Insurance Exam and annual training as required in BC. She has advised thousands teachers, schools, boards and parents on their travel insurance needs and the claims process. Marcie has been active in many roles within the Student and Youth Travel Association (SYTA). Currently Marcie is on the International Committee of SYTA and is involved in developing risk management and safety guidelines for the student travel industry worldwide. Heidi Epp completed her eighth season as the Artistic Director of the Richmond Youth Honour Choir by taking them on their second international tour this past July to Africa. First, they did an exchange with the COTA Youth Choir in Windhoek, Namibia following which both choirs travelled to the World Choir Games in Tshwane, South Africa. The RYHC was the Canadian representation there and officially listed as the choir that travelled the furthest to participate. Heidi is also the founding Artistic Director of the Fraser Valley Children's Chorus who just celebrated the conclusion of their first season. In their first year they collaborated with four choirs, attended two festivals and collaborated with the Chilliwack Youth Orchestra, as well as entering a musical float in Yarrow Days winning a first-place ribbon. They also composed their first song “The Heart of Beautiful BC” and entered it into the "Sing Me a Song" contest with the Lieutenant Governor of BC and won first place in the 18 and under category. They were presented their award in person by Her Honour Janet Austin. In addition to being the Artistic Director of these organizations as well as the Yarrow Community Choir, Heidi keeps an active private piano studio and freelances as a workshop presenter and guest clinician and conductor. Heidi is very pleased to be at this reading session to connect with fellow educators and conductors who are all living a life of passion for music and people! An alumnus of both the University of British Columbia (B.Mus., B.Ed.) and University of Calgary (M.Ed. 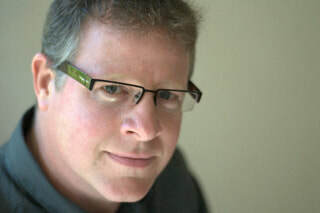 ), Mark has grown vibrant music programs in both West Vancouver and Langley over the past 20 years. Mark plays saxophone and woodwinds in jazz ensembles and musical theatre and is a former BCMEA vice-president, journal co-editor and conference chair. When not in class or on stage, he enjoys running, coaching little league baseball, and going on adventures with his wife and two sons. Described as “innovative, expressive, and dynamic,” Elroy Friesen is Director of Choral Studies at the University of Manitoba where he conducts numerous choirs, and teaches graduate and undergraduate conducting and music education. He has recently been Artistic Director of Canzona, Winnipeg’s professional Baroque choral ensemble, and he actively researches Baroque performance practice. Elroy has also published his research on the choral music of Finnish composer Einojuhani Rautavaara and pursues his passion of study and performance of new Nordic repertoire – especially new Canadian works. His award-winning ensembles tour nationally and internationally, and are frequently recorded and broadcasted by the CBC. They enjoy collaborating with many outstanding local and national arts organizations, including the Winnipeg Symphony Orchestra, the Royal Canadian College of Organists, WSO New Music Festival, Soundstreams Canada, Groundswell, Vancouver Chamber Choir, MusikBarock Ensemble, Manitoba Chamber Orchestra, and the Latvian Radio Choir. Dr. Friesen studied at the University of Manitoba (B. Mus., B. Ed., M. Mus.) and at the University of Illinois (DMA) receiving numerous scholarships and grants from the Manitoba Arts Council, the Canada Council for the Arts, and the Foundation for Choral Music in Manitoba. Elroy is a co-founder of fikamusik (an intensive professional choral conducting program), the founder and past Artistic Director of Prairie Voices, and has recently appeared as guest conductor with the Winnipeg Symphony Orchestra and the National Arts Centre Orchestra. He is in demand as a clinician, adjudicator, and conductor throughout Canada, the United States, and Europe. Doug Goodkin is in his 44th year teaching preschool, elementary and middle school children at The San Francisco School. In addition to teaching children, he maintains a rigorous schedule of teacher-training, giving courses and workshops in 45 countries on every continent throughout the world. He is the Director of The San Francisco International Orff Course, a frequent guest teacher at The Orff Institut in Salzburg, Austria, a teacher in the Orff-Afrique Course in Ghana, West Africa, the leader of the jazz band Doug Goodkin & the Pentatonics, the creator and teacher of The Jazz Course and the leader of The Intern Program at The San Francisco School. He is the author of eight books on music education, has published many articles in music journals worldwide and writes an onging blog titled “Confessions of a Traveling Music Teacher.” He has given a TED talk available for viewing about the importance of music education. His work is well known for blending effective music teaching with humanitarian practices, community ritual and social justice. Kimberly graduated from UBC in 2007 in the music education stream, and has been teaching beginning band, jazz band, and choral groups since. Over the past 5-6 years she has built up a music program that was initially less than half- time to almost full-time, and has successfully managed to get her school to support all music courses within the timetable. Gracenote is a community choir organization based out of Vancouver, BC, founded in 2015. Founders Malaika Horswill, Gillian Lippert, and Laura Metcalfe grew up in Nelson, BC, singing together in various choirs and musical theatre productions. Reunited many years later in Vancouver, they began discussing how they felt as young people new to the city. All three felt somewhat disconnected and lonely; they missed the music that had brought them together as children and the sense of community that had been fostered through it. Gracenote began in response to this feeling. Over the last three years, Gracenote has performed to sold-out audiences in the lower mainland and throughout the Kootenays, and in 2018 performed a showcase concert at the Canadian Rocky Mountain Festival in Banff, Alberta. The Gracenote organization now has two choirs comprised of 50 singers from around the lower mainland. We strive to make everyone feel a little less lonely and a little more connected in this big and rainy city. Music Director, Malaika Horswill and Artistic Director, Gillian Lippert are thrilled to have been invited to present for the BCMEA Conference. Kevin Hamlin was the Arts Department Leader and Music Department Head at Collingwood Collegiate for 29 years, building one of the largest and most diverse instrumental music programs in the province of Ontario. For his service, dedication , and overall performance, Kevin was awardedn the Collingwood Arts Award (2015) and awarded the Order of Collingwood (2016). Kevin was awarded the Keith Mann Outstanding Band Director (2015) by MusicFest Canada National governing body. This award is given to only one music teacher chosen from across the country each year. Kevin now sits as a National Level Adjudicator for MusicFest Canada and other Regional Music Festivals across the country. He is a regular presenter at the OMEA Conference on a wide range of topics. Recently, Kevin was chosen as Yamaha Music Canada’s first Educator-In-Residence, working across the country adjudicating band festivals, providing Board and Music Conference workshops, and individual school based clinics. Dawn Haylett holds a B.Mus. from UVic, where she also studied Elementary Music Education and Educational Psychology. She went on to take a 20-year detour as a professional French Horn player, playing with such groups as the Victoria Symphony, Vancouver Symphony and Vancouver Opera, before embarking on her career as a Music Specialist. In 2006, she discovered the Wonderful World of Orff and has been a passionate Orff enthusiast ever since, completing all 3 levels of Orff training, a number of Masterclasses and attending a wide variety of workshops. She is particularly inspired by the sense of playfulness and creativity that is emphasized in the Orff approach to music education. She has presented workshops on horn playing, breathing and elementary music. Dawn continues to play Horn professionally and is Vice-President of the BC Orff Chapter. She is currently Music Coordinator and a Music Specialist at York House School in Vancouver, where she teaches classes from K to Gr. 12. Pam Hetrick has taught music for over 30 years, most recently K - 7 at Suncrest School in Burnaby, BC. She has been inspired by Orff Schulwerk for her entire teaching career, from Level Training to Orff workshops and conferences. She served for many years on the Executive Board of the BC Orff Chapter, first as editor of the newsletter and then as Co-President. She began the Orff Level Training Program at Vancouver Community College and has served for twelve years as Course Director and Level I Instructor. She enjoys giving workshops locally as well as at National Conferences in both Canada and the U.S. Her performance experience includes steel drum ensembles, Balinese Gamelan, Keith Terry Body Music Ensemble, and currently Adanu Habobo African drumming/dance ensemble directed by Kofi Gbolonyo. She received a Keetman Grant to study tingklik music in Bali. In 2014 she received the BCMEA Music Educator Award of the year. We apologize that Margaret we be unable to attend BCMEA Conference this year. Margaret is an Orff trained music specialist who has taught at Carisbrooke Elementary School for the past 34 years. She is also a workshop leader and festival coordinator for the North Vancouver School District. She has participated in the BC Orff Chapter Children’s Day and presented workshops at the CAHPER Provincial conference and the BCMEA.